A pair of the best tracks from the instant classic, mainstream attention seizing I Learned The Hard Way – "Better Things" and "Window Shopping on a 45 – as they should be, because these are neo jukebox classics of the highest caliber! 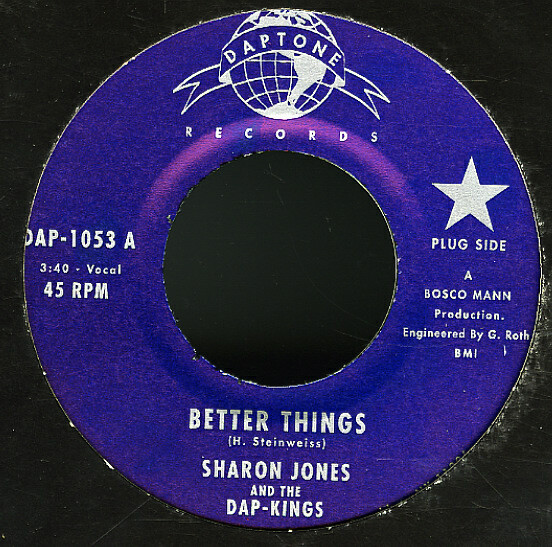 "Better Things" is a perfect kiss off track, with Sharon convincing us she has "Better Things", and making it clear that no one's better than she is contemporary funky soul! "Window Shopping" is a slower cooking gem, keeping the groove at a funky simmer. © 1996-2019, Dusty Groove, Inc.